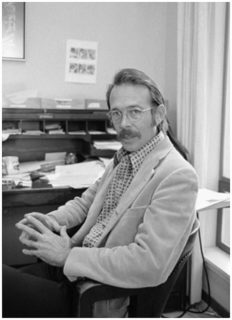 Richard R. Randolph, professor emeritus in the Anthropology Department at University of California, Santa Cruz (UCSC), died on July 30, 2018, at age 83. Randolph was a member the founding faculty of UCSC in 1965. In addition, he was a founding member Cowell College and the Anthropology Board of Studies. He served as the third Provost of Cowell in 1974–77 and chaired the Board of Studies in Anthropology from 1987–90. His leadership and tireless efforts during the late 1980s were crucial to the establishment of the graduate program in anthropology in 1991. He served as the program’s graduate director (on recall after he retired in 1991) from 1992 to 95. Randolph was born in 1935 in San Francisco and graduated from high school in Oroville, California. He attended University of California, Berkeley, where he majored in anthropology and earned his PhD in 1963. From 1963 to 1965, he was assistant professor of anthropology at Rice University. Randolph carried out his doctoral research among the Qdiirat Bedouin in Israel. His work focused on Bedouin social structure and the dramatic changes it was undergoing in the mid-twentieth century, particularly in relation to Israeli land and resettlement policies. He also focused on the meaning of gender differences in Bedouin culture, which he wrote about in a volume that he introduced and co-edited with David Schneider and May Diaz, Dialectics and Gender: Anthropological Approaches (1988). More recently, Randolph carried out a research project on the Americanization of California and the symbolic architecture of the state. He examined conceptions of authority, the law, and the dominance of white, American, largely Protestant values through the architecture of California’s county courthouses. Randolph was a dedicated teacher and mentor of many students throughout his time at UCSC. In addition to teaching the introductory course in anthropology and co-teaching the Cowell College core course for many years, he taught courses on culture theory, ethnography, peoples and cultures of the Middle East, the idea of imagination in Western tradition, and civic authority in California. In 2004, the Department of Anthropology established the Richard Randolph Award in recognition of his invaluable role as a founding faculty member of the Department and his leadership in initiating the graduate program in anthropology. The Award is given each year for the best graduate student essay based on doctoral fieldwork or lab research.